The company is already in hot water over the recent vehicle inspection scandal in Japan. Back in October, it came to light that Japanese automakers Subaru and Nissan hadn't been adhering to government vehicle inspection standards for several decades. Subaru could now be in trouble once again, as Reuters is reporting that an internal investigation is currently underway to determine whether mileage readings were falsified during final checks, driving the company’s shares down by 8.5 percent – its lowest since July 2016. Coming so soon after the vehicle inspection scandal could severely taint Subaru’s image. The issue came to light when external investigators were looking into the inspection scandal and found that mileage data had ben altered on some sample models tested during final checks. In Japan, mileage readings show the number of kilometers a vehicle can travel on a liter of petrol. Subaru hasn’t given any details of vehicles or markets that could be affected, but it’s unlikely to result in a recall since it isn’t a safety issue. So far, Subaru hasn’t admitted to any wrongdoing. “At the moment we are trying to confirm whether data was indeed fabricated, and if so, how this happened and which models are affected,” Subaru spokeswoman Miyuki Yasuda told Reuters. 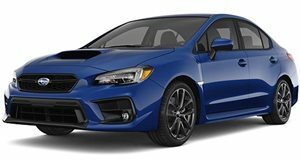 It’s also unclear whether Subaru will face any fines or legal troubles if the claims turn out to be true, but there’s a good chance it will harm the company’s relationship with customers and affect sales – particularly when Subaru is already facing bad publicity over the vehicle inspection scandal. “Coming on the heels of the certified inspection issue, this could be a sign of a bigger problem of how Subaru manages its manufacturing operations,” said Janet Lewis, head of Asia transportation research at Macquarie Securities.